Watching Elizabeth McCord in action will leave you inspired about America and its place in the world! 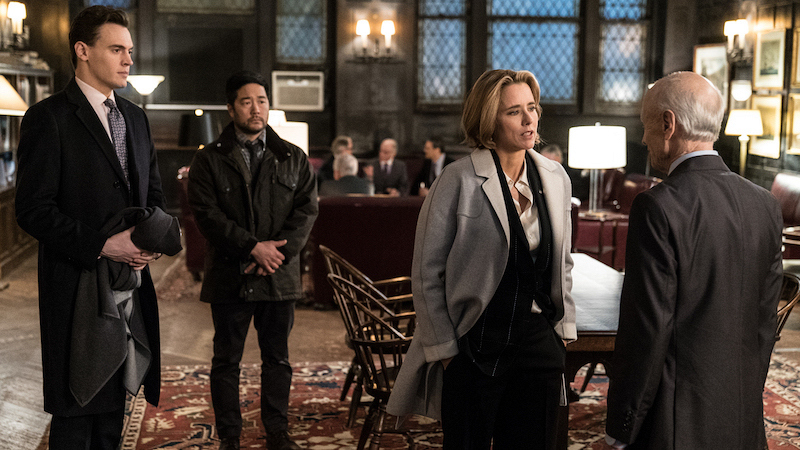 Elizabeth "Bess" McCord (Téa Leoni) is not your traditional politician. The secretary of state we've come to admire in Madam Secretary doesn't rise through the party ranks, nor does she even run for office before taking the job of America's top diplomat. But as a lifelong public servant, she brings a determined shrewdness which she honed in the CIA—where she also earned the trust of President Dalton. Her international experience and diplomatic savvy were always going to serve Elizabeth well in any foreign crisis. But being a public figure and having the ear of POTUS is something new. She steps right into this very prominent leadership role and shows us how it should be done. These days it can be tough to find inspiration by looking to Washington, but we all want to believe in something—and someone. Thankfully, Elizabeth is out there setting an example that we can all strive for and be inspired by. 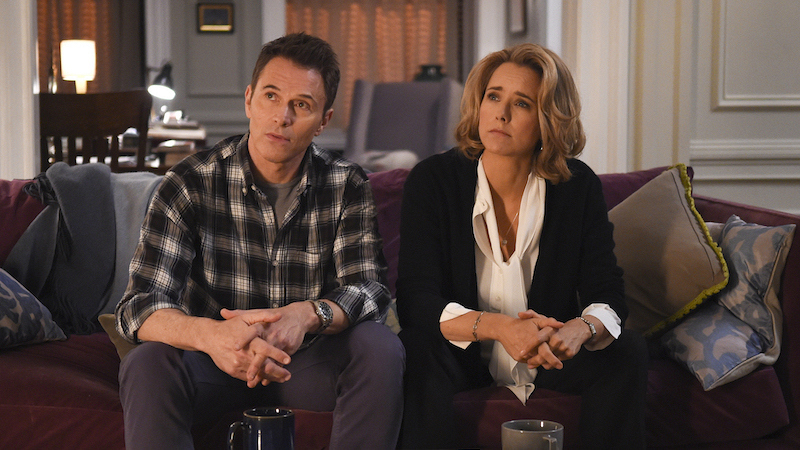 Enjoy some of her finest leadership moments from Madam Secretary! When she spoke truth to power. 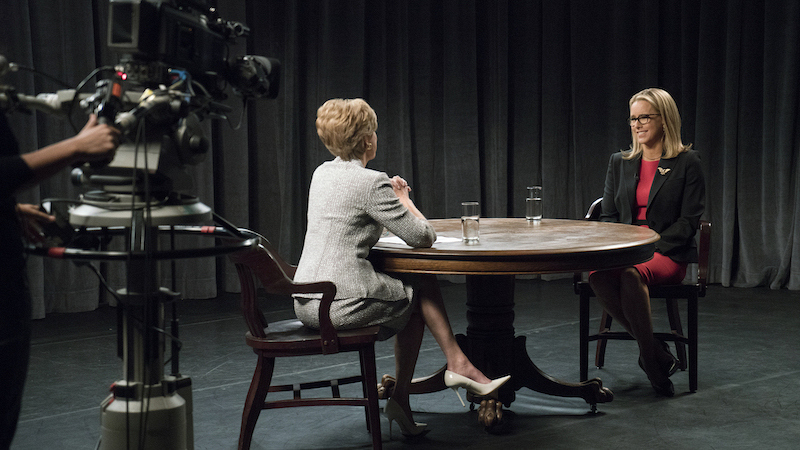 Fans of Madam Secretary are used to Elizabeth speaking her mind, even if doing so defies politics—and occasionally diplomatic—conventions. But by the end of the first season, she's in an awkward position when subpoenaed to testify before a Senate committee about the government's involvement in an Iranian coup. She isn't afraid to testify, but the White House would prefer she stay mum. It takes a call from President Dalton to "convince" her to invoke executive privilege. Looking for leverage, the committee chair issues a new subpoena—for her husband Henry—and tries to set up Elizabeth for separate criminal charges under the Espionage Act. Throughout the Season 1 finale, we learn a lot of Elizabeth's backstory from flashbacks, but it's a flash of inspiration that ultimately defines her character. She makes a surprise appearance before the committee and offers up self-incriminating testimony. She also offers up an explanation that would win over the right people—including the American public. Watch Elizabeth give a master course on integrity in "There But For the Grace of God." When she put the greater good ahead of her own aspirations. Hoping to win a second term, President Dalton faces a strong primary challenge from within his own party. His campaign interests will complicate American interests abroad, and that alone is going to complicate life for the secretary of state. But the politics are going to get more complicated as Elizabeth is being groomed to run as Dalton's Vice President. 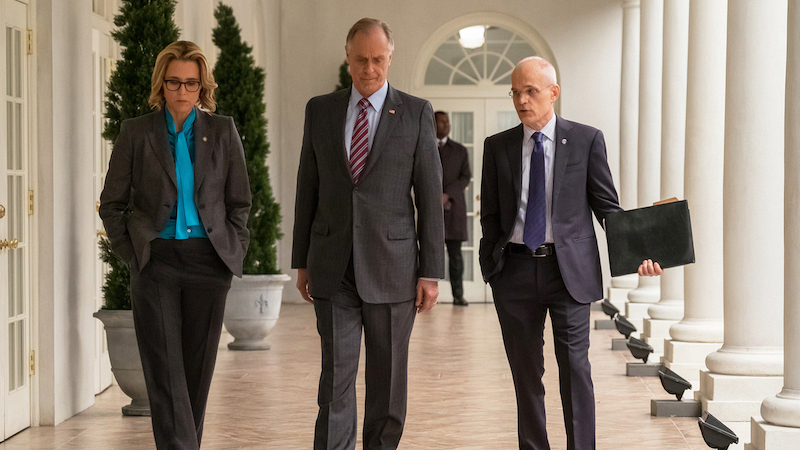 In the Season 3 premiere of Madam Secretary, Elizabeth demonstrates what great leadership can accomplish. She thumbs her nose at traditional politics and re-writes history in the process. During a television interview, she breaks with the administration on climate change (which is putting American military bases in danger), explaining that she's a public servant and has never been a partisan. Her words inspire Dalton, who will risk political suicide when he adopts Elizabeth's stance and tells the American public that "we need to lead by example." Of course, he's following her example. Elizabeth's efforts will not only save American troops but also help foster an emerging democracy when a military base is moved. Those same efforts also seem to end to the Dalton administration—until Elizabeth helps hatch a plan for him to run as an independent and take on a popular Senator to be his running mate, leaving her off the ticket. Watch Elizabeth make a personal sacrifice in "Sea Change." When she demanded transparency, even from herself. A reporter will get rare insights into public service when he's allowed to shadow Elizabeth for a profile—even venturing into off-the-record meetings. Throughout the experience, Elizabeth addresses what it takes be secretary of state. When asked about her regrets, she acknowledges that, "A lot of this work is making impossible choices." When more about her past choices comes up, including her time in the CIA, she adds, "If I started thinking about how people could use everything I say and do against me, I wouldn't get out of bed in the morning." When a packet of oppo research about Elizabeth ends up in the reporter's hands, it starts to seem like this profile could end up hurting her. After the reporter reminds Elizabeth that many Americans "just want to believe," she gives a rousing (and somewhat unscripted) "What America Means To Me" speech to a group of children. But would that be enough to sway the reporter into writing a positive piece? Maybe not. But we do see what happens the morning of the profile's publication, as the reporter holds his just-delivered newborn in the hospital. Elizabeth drops in with a congratulatory gift, and the reporter—pleasantly surprised—apologizes if anything he wrote went over the line. Elizabeth responds, "I said I wanted transparency... you gave all sides. That was the point." Watch Elizabeth embrace openness and accountability in "The Things We Get to Say." When she found her cause—and perhaps a higher calling. It's no exaggeration to say that the world almost ends during the hair-raising Season 4 finale. Orders are given that will send the world toward nuclear holocaust. And only a few people—including Elizabeth—know as the nightmare unfolds. Recognizing that the current American and Russian hair-trigger nuclear postures are unsustainable, Elizabeth advocates for the governments to de-alert ICBMs. And in order to get Americans on board with the necessary changes, she convinces President Dalton that the administration must come clean about just how close we all came to a fateful end. America deserves to know, and doing so will certainly help get the administration's new approach approved. Elizabeth also makes a decision that will change her life and perhaps the world. While she feels recent events have reaffirmed her faith in the process, she's concerned that Dalton's successor could undo the important things they'd accomplished. She's can't let that happen. See Elizabeth discover her inner motivation to run for president in "Night Watch." Stream every episode of Madam Secretary on CBS All Access and watch the Season 5 premiere on Sunday, Oct. 7 at 10/9c on CBS and CBS All Access.